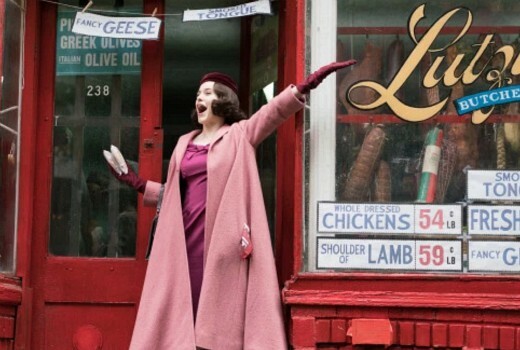 Writer Amy Sherman-Palladino and producer Daniel Palladino (Gilmore Girls) have signed a multi-year deal with Amazon Studios to develop two seasons of The Marvelous Mrs. Maisel. A pilot for the series screened in the US in March leading to a two season pick-up. The series stars Rachel Brosnahan a Jewish housewife living in New York City in 1958 plus Michael Zegen, Alex Borstein, Tony Shalhoub and Marin Hinkle. It will air on Amazon later this year. The Marvelous Mrs. Maisel, written and directed by Sherman-Palladino, and executive produced by Sherman-Palladino and Palladino, stars Rachel Brosnahan (House of Cards) as Miriam “Midge” Maisel, a 1958 New York City woman who has everything she’s ever wanted — the perfect husband, two kids, and an elegant Upper West Side apartment perfect for hosting Yom Kippur dinner. But her perfect life suddenly takes an unexpected turn and Midge discovers a previously unknown talent — one that changes her life forever. She charts a course that takes her from her comfortable life on Riverside Drive, through the basket houses and nightclubs of Greenwich Village as she storms the world of stand-up comedy…a course that will ultimately lead her to a spot on Johnny Carson’s couch. The series also stars Michael Zegen (Boardwalk Empire) as Midge’s husband Joel Maisel, Alex Borstein (Family Guy) as Susie Myerson, Golden Globe winner and three-time Emmy winner Tony Shalhoub (Monk) as Midge’s father Abe Weissman, and Marin Hinkle (Two and a Half Men) as Midge’s mother Rose Weissman.